The loss-making Air India is likely to relook into some existing key contracts with its suppliers, including aircraft lessors and engine makers, as it seeks to trim costs ahead of stake sale by the government. Air India chief Rajiv Bansal, who has been working on ways to improve the airline’s on time performance (OTP) and prune costs on various fronts, has set up a task force comprising four teams to put together a strategy before engaging with vendors, according to a source. “The task force for contract negotiations has been asked to identify team members to negotiate and right-spec key contracts with engine supplier GE, aircraft lessors, global (ticket) distribution system (GDS) and catering services providers,” the source said. Bansal, a senior IAS officer, took charge as the interim Chairman and Managing Director of the state-run airline in August. Terming “cost consciousness” as one of the core areas for improving the financial health of the debt-ridden airline, Bansal had recently urged his workforce to ensure that not even a single ‘paisa’ is wasted for a better future. According to the source, HR Jagannath, who is heading the airline’s engineering subsidiary AIESL, will lead a team that will relook into the contracts with GE, while Air India’s director for finance, Vinod Hejmadi, will head the team to negotiate with the aircraft lessors. Air India’s director for commercial, Pankaj Srivastava, has been mandated to rework contracts with the GDS provider; and general manager for catering, Rajneesh Bagga, to renegotiate contracts with catering firms, the source said. “These teams have been asked to study the existing contracts, put together a strategy and push re-negotiations over the next six weeks,” the source said. Surviving on a ten-year bailout package amounting to Rs 30,231 crore which began from 2012, the airline is currently in the disinvestment process. The Cabinet Committee on Economic Affairs (CCEA) gave its in-principle nod for the strategic disinvestment of the airline – which has a debt burden of more than Rs 50,000 crore – in June this year. 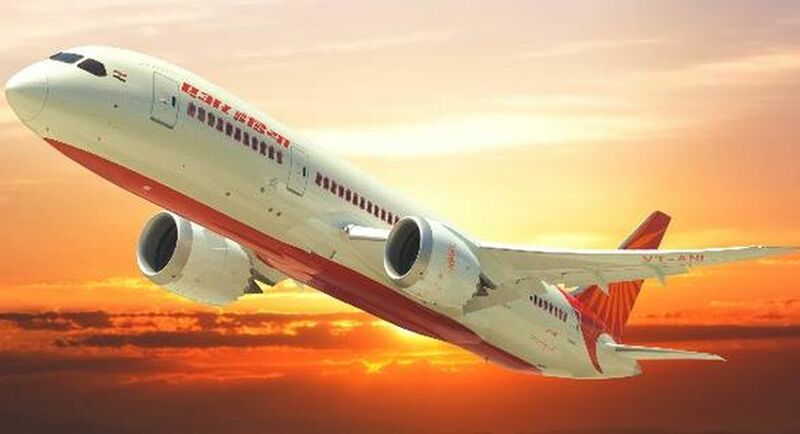 As per the provisional numbers announced by the government in July, Air India’s net loss after tax narrowed to Rs 3,643 crore and operating profit rose to Rs 300 crore in the last financial year from Rs 105 crore in FY16.